On Wednesday, June 13, at approximately 5:30 p.m., Elmhurst Police conducted a traffic stop on a vehicle believed to be involved in a theft that had just occurred in the area of North Avenue and Larch. The car contained three people inside. One of the individuals, identified as Fernando Perez Jr., age 37, of 3900 W. North Ave., Chicago, is believed to have committed a retail theft at the CVS Pharmacy located at 110 W. North Ave.
Perez was taken into custody and placed in an Elmhurst Police patrol vehicle. While officers were conducting a search of the suspect’s vehicle, Perez was able to escape from the vehicle. An area search for Perez was conducted using K-9 police dogs and officers on foot. 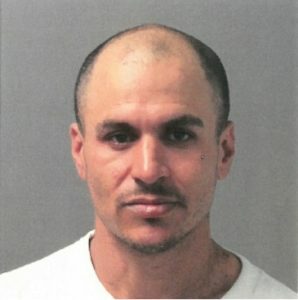 Perez was later apprehended without incident around 10:15 p.m. in the area of North Ave. and York Rd. The driver of the vehicle, identified as Rufino V. Hernandez, age 54, of 2425 N. McVicker Ave., Chicago, was also taken into custody for driving with a suspended driver’s license and disobeying a traffic control device. The other passenger of the vehicle was released without charges. Fernando Perez Jr. was charged with Felony Retail Theft, Felony Escape, and Possession of Drug Paraphernalia. He was transported to the DuPage County Jail.